When buyers prepare to purchase a pre-owned home, they typically order a home inspection to learn about the condition of the property. After all, the effects of time and poor maintenance by the previous homeowners could take a toll. When you build a home from the ground up, you may assume that the property is in perfect condition on the day that you take ownership. However, a closer look may reveal the many reasons why you should order a home inspection on new construction. The process for an inspection on new construction is similar to that for an inspection on an older home. An older home understandably may have more items of concern listed on the report, so the inspection process may take longer to complete than it would on new construction. However, the inspector will still review all aspects of the property’s systems and components. If you are preparing to finalize your purchase of a new construction home, understand these important reasons why a home inspection is essential. Even the most skilled and experienced contractors can make mistakes. Numerous contractors likely have worked on the construction of your home, so there is a possibility for issues to be found throughout the home. Human error can and does happen, and an inspection on new construction will help you to identify labor-related issues upfront. Keep in mind that many of these issues become your responsibility to repair once you have the final walk-through and take ownership. The materials used in your home may also be faulty. This includes windows that leak, a vent over the stove that does not work properly, HVAC and plumbing system issues, and more. Some of these issues with materials may easily go overlooked by you for weeks or months after you move in, and some can be expensive to address. They could also potentially result in property damage, higher utility bills, and other issues. When you understand what is wrong with a property before you sign the purchase papers, it gives you the opportunity to bring it to the attention of the general contractor. 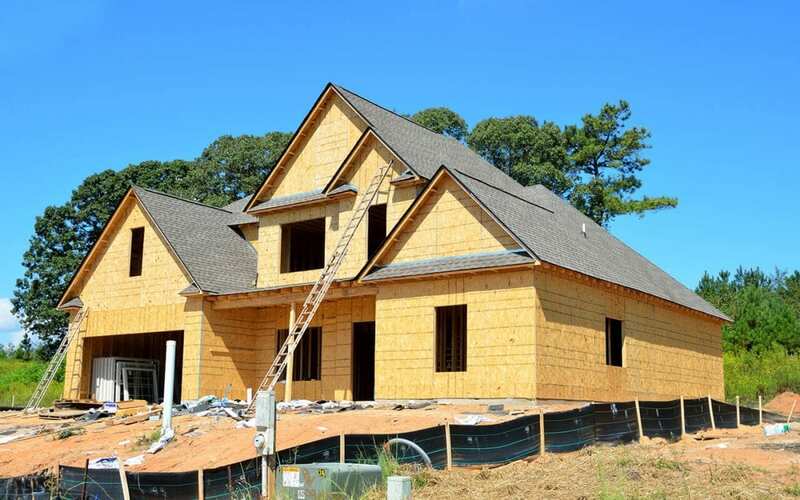 Taking ownership of a pre-owned home usually means you’ll take on a moderate amount of repair and maintenance tasks, but it is reasonable to expect a new construction home to be without issues when you move in. A home inspection on new construction confirms that this is the case, or it allows you to pinpoint areas that require attention. Some types of home damage can be detrimental to the safety and well-being of anyone in the home. For example, a gas leak could cause a deadly explosion. A leaky pipe that causes mold growth could create respiratory issues until the issue is identified and repaired. These are only a few of the problems that may be identified through a property inspection before you move in. At first, ordering a property inspection on new construction may seem like a waste of time and money. However, you can see that problems can exist in any home regardless of its age, and a home inspection identifies areas that require attention. If you are preparing to take ownership of a brand new home, order an inspection first so that you can address any issues. Cal Home Inspection serves the Greater Sacramento area with home inspections on new construction and other inspection services. Contact us to book your appointment.